Location, Location! 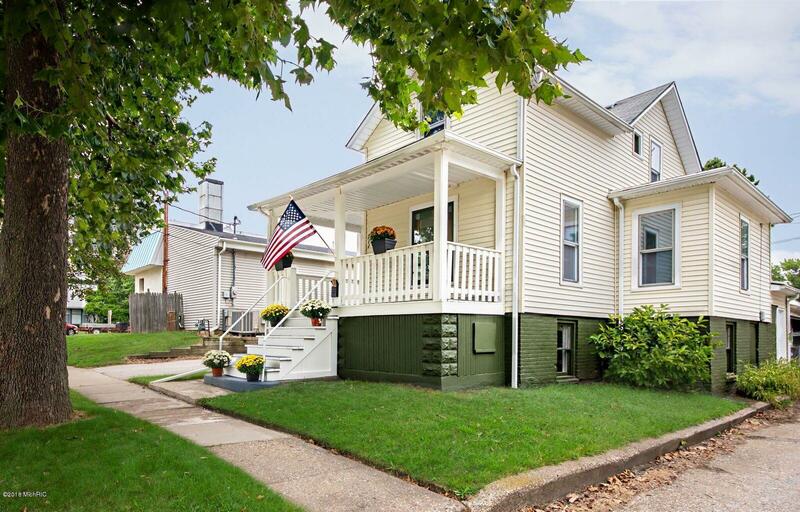 Downtown City of St. Joseph is home for this refreshed ideal home! Less than 1/4 mile to Lake Michigan! Walk to the beach, bluff, restaurants, shopping & all the city offers! Could be your get-away cottage or year around home! Many updates you'll love including replacement windows, fresh paint, pleasing decor, new carpet, new kitchen including dishwasher, range/oven & refrigerator, new bathroom, freshly stained decking, new plumbing, furnace in 2014. There's more: Walk-in pantry, walk-in closets, Low maintenance siding, small yard, on-site parking & fenced backyard too! Large basement w/ daylight windows, exterior entrance & extra storage. This home still retains its 'old house charm' even w/ the updates! Come sit on the covered front porch, relax & you're home!